the back of the black chair is awesome! 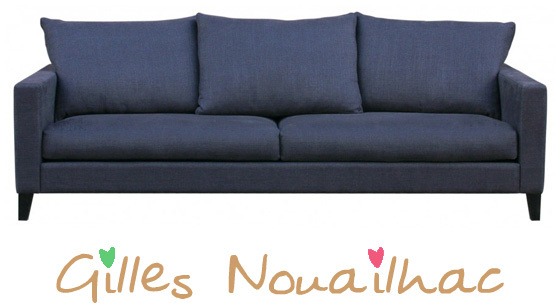 And the sofa is very nice, but I'm not sure I want to know the price of that one, haha. You better start keeping your eyes open in thrift shops, maybe you'll find the perfect old chair! 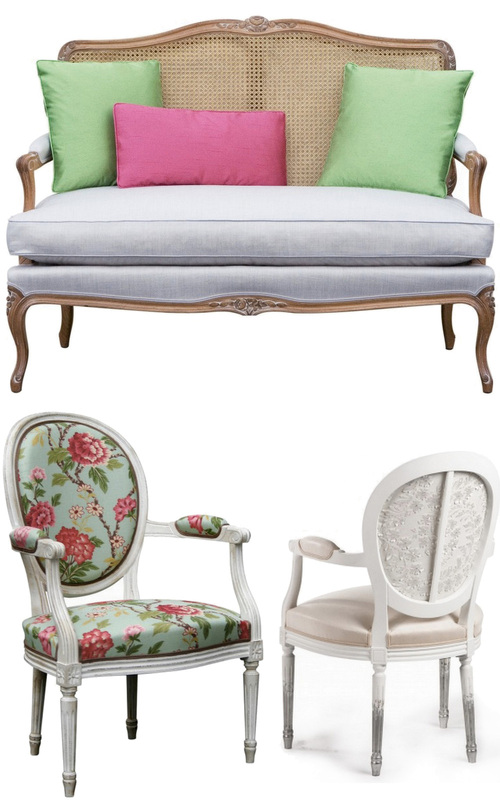 The first two -- I"ll happily have either one!-- belong in my bedroom..
Gorgeous stuff! I love all of it! Isn't is heartbreaking when you have to ask for the price! 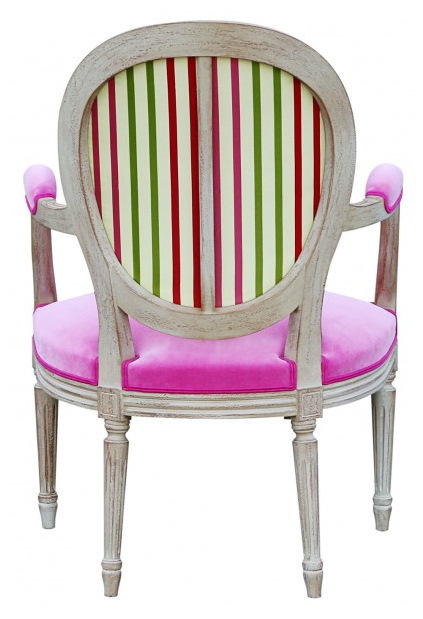 That first chair with the stripe detail is unbelievable!!! oh my gosh i LOVE this! what a fantastic find! lovelove the couch and ivory+cream chair! LOVE the pieces! 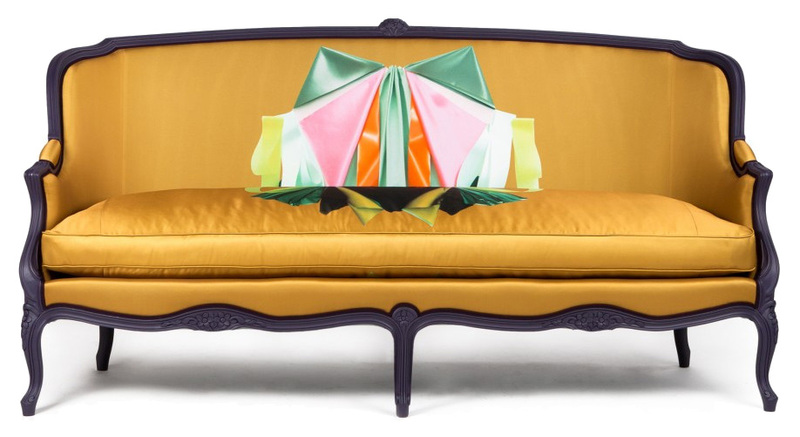 The cane settee is gorgeous! Too bad when people say priced on demand it usually means wary wary expensive! The couch second from the bottom has a perfect color combination! gorgeous pieces! These are sooo beautiful!! Esp. 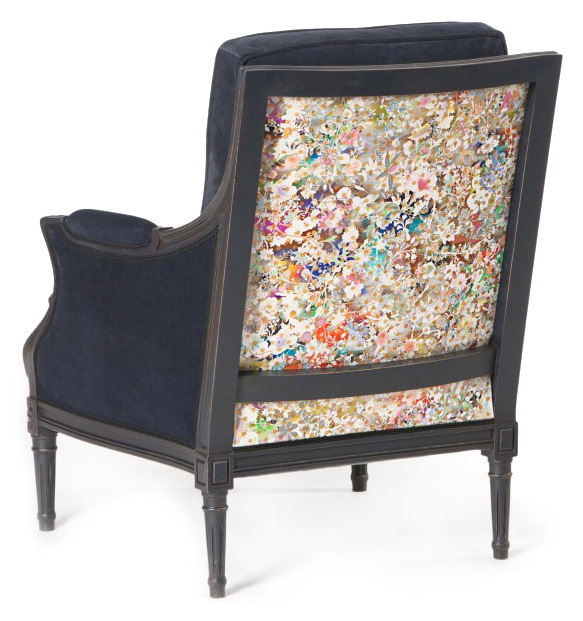 the chair with the colorful printed collage on the back!! What gorgeous piece in such gorgeous colors! Just found your blog and I love it! I'm your newest follower! Hope you follow mine too!